Built as a mission before the adjacent church which was not designed by CRM. 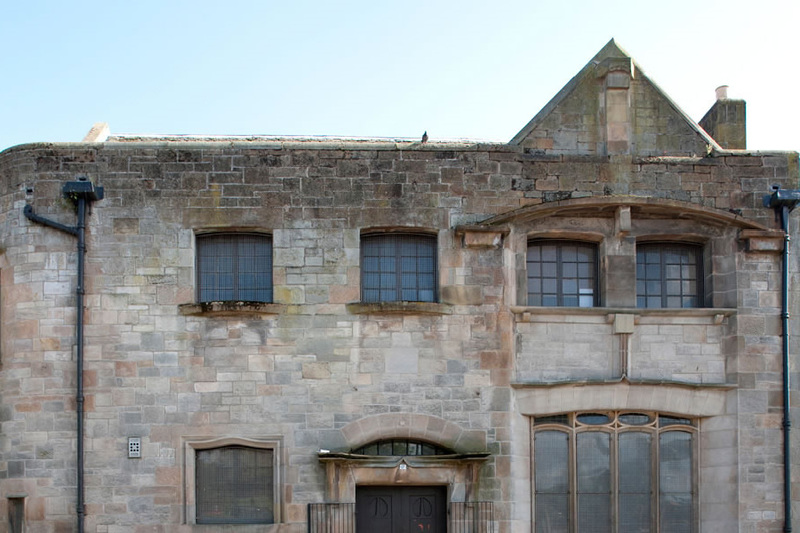 It consists principally of two halls and two committee rooms, all currently used by the active congregation, and is considered to be a well-planned minor work. Free – outside viewing only. Please call the venue for more information. Ruchill Church, Church Hall and Tea Room are beside MacDonald's opposite Maryhill Shopping Centre on Maryhill Road. Behind the Church is the Forth and Clyde canal with a bridge across to Ruchill. A number of bus services stops at Maryhill Road beside MacDonalds and by the Maryhill Shopping Centre. There is also parking outside and behind the Church.